Sicily, Palermo, Royal Workshop, 1130 – 1140, Period of King Roger II. 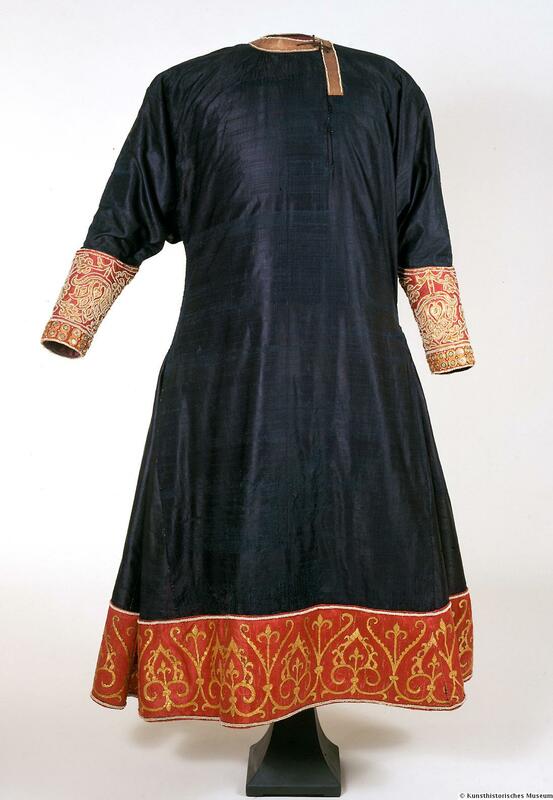 The robe has the shape of a tunicella with a narrow upper part, long sleeves that taper towards the edge and a skirt that expands towards the hem with side gussets. 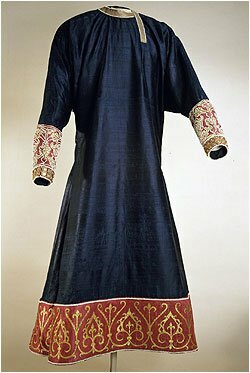 Both the blue – with madder and Waid dyed – unbleached base fabric as well as the red, patterned trim of the hem and the cuffs is Samit (scratched silk). 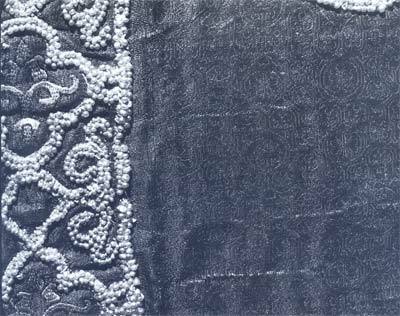 Above and below, the wide hem border is bounded by double pearl cords. Gold embroidery in sunk planting technique adorns this border with lilies and palmette shapes. The technical implementation of the embroidery is so close to that of the coronation mantle that one can assume a simultaneous emergence. 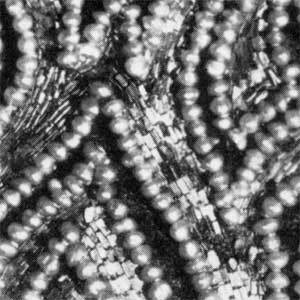 A special feature is the embroidery of the cuffs: pearl strings framing palmette motifs whose inner surfaces are filled with gold tubes, which were flattened after sewing. This technique is, as far as we know, unique. 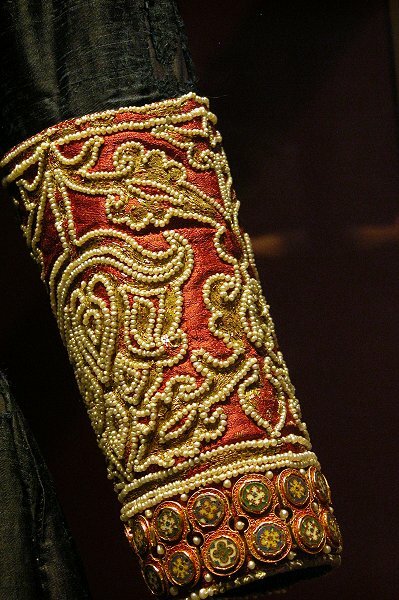 The lower edge of the cuffs are decorated with violin-shaped, densely juxtaposed appliqués with gathered cellular enamel, which are stylistically and technically so similar to the mounts on the coronation mantle that there is no doubt about a connection between the two garments. 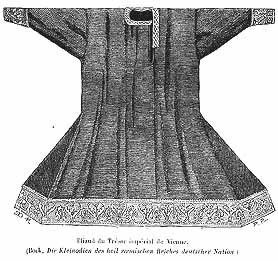 The neckline of the robe is covered with a 3 cm wide Brettchenborte, which is contoured by means of individually sewn beads. 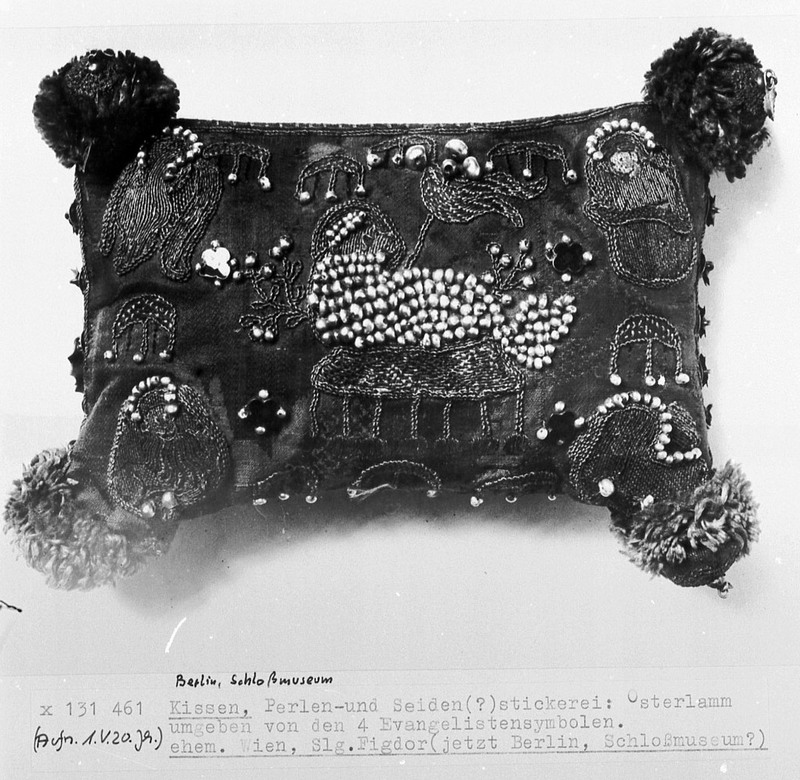 This border is the same as it was sewed on the Alba. 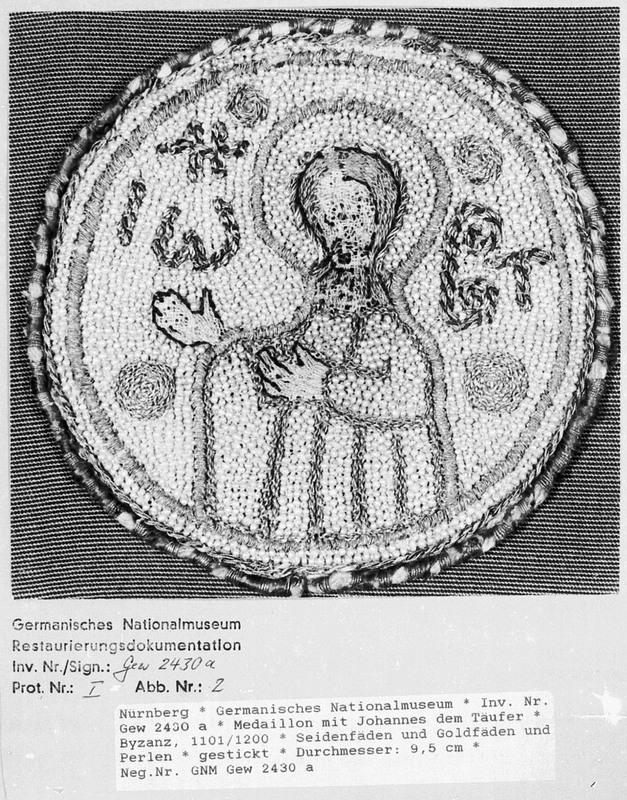 For the first time clearly identifiable the robe appears as a “blue skirt” in a document of the year 1350, with the transfer of the treasury to Charles IV is confirmed, but may well in the mention of a “Rock of Samit” in the inventory of 1246 also already recognize the tunicella. 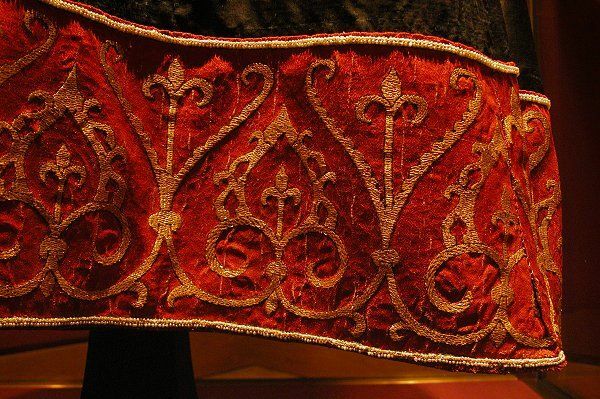 The dalmatic is of deep purple silk. 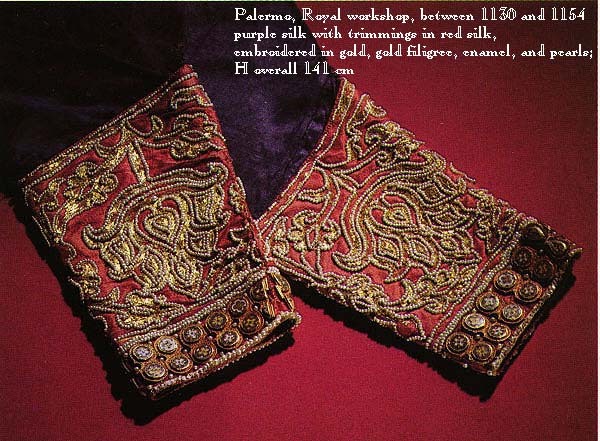 The apparles illustrated, however, – a cuff and the lower border – are made of a silk material resembling that of the Coronation Mantle. 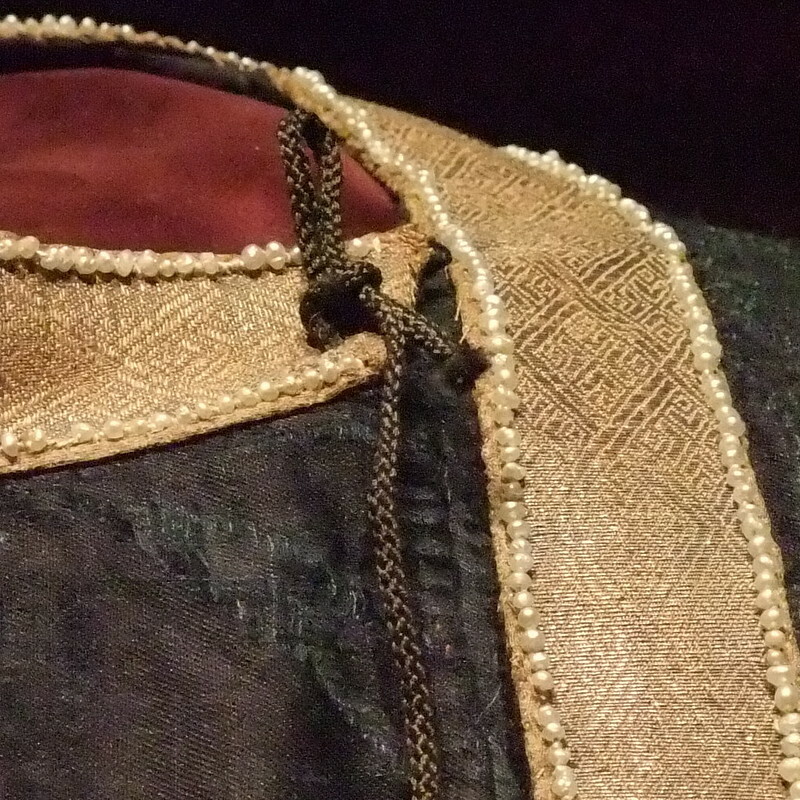 The gold thread is underside couched, but on the cuff the gold is in the form of minute tubes with the couching thread passed through them. Pearls, gold plaques, enamels and filigree work. 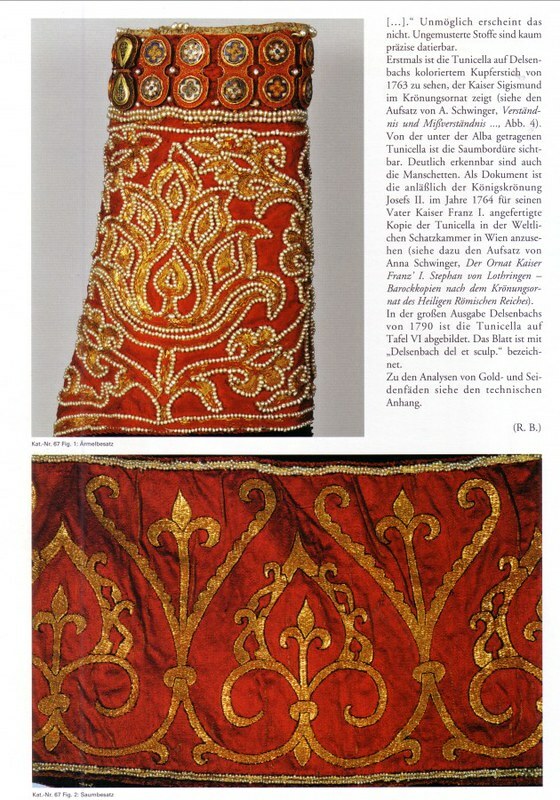 According to Fillitz the garment may belong to the same set of vestments as the Coronation Mantle. 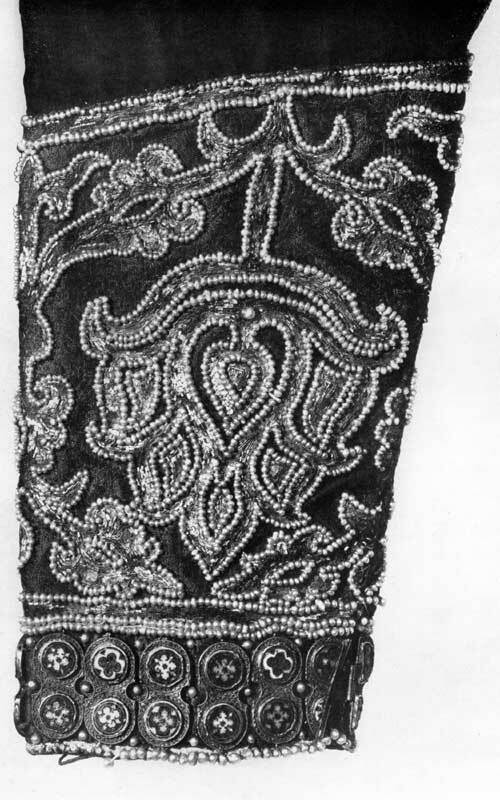 Cuff detail of the deep purple silk dalmatic of 1130-40 from the insignia of the Holy Roman Empire. 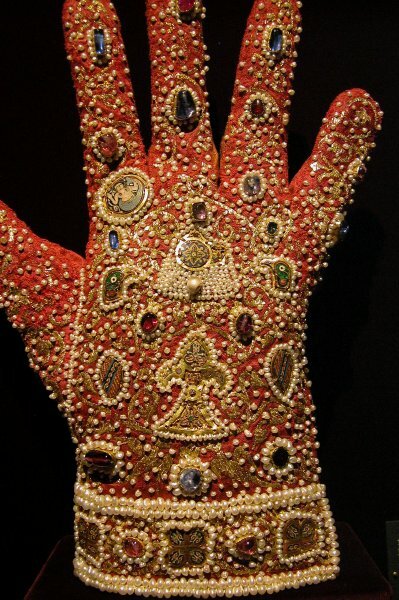 It is a product of the royal workshops of Roger II in Palermo. Minute golden tubes fill the pearl motifs whilst the sumptuous effect is increased by the use of large coloured enamel motifs. 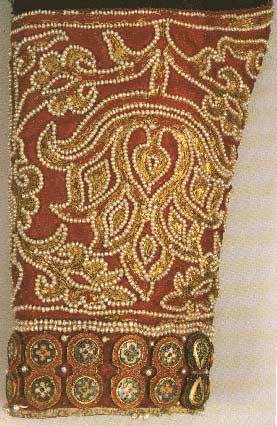 This entry was posted in 12th Century, Clothing, Period Beadwork and tagged 12th, extant, Holy roman empire, pearls. Bookmark the permalink. ← START HERE – READ ME!